Earlier this year, Bose unveiled a concept for sunglasses with headphones built into them. The idea wasn’t exactly earth-shattering, as there are already a number of manufacturers that have their own version of this concept. But Bose took the idea a step further by integrating an augmented reality system that would give you audio information while you walked through your own neighborhood or somewhere you were visiting for the first time. The new Bose glasses are called Frames. Using built-in sensors while being paired with our smartphone, Frames will be able to tell where you are and which direction you are facing. Using this information, Frames will give you information about the area like local history and suggest places to eat. Judging from some of the early impressions I’ve read online, the device’s ability to give exact information at what you’re looking at isn’t great, and the built-in speakers are actually pretty loud. Not loud in the sense where they would hurt your ears, but people can actually hear what the Frames are saying to you. It certainly is an interesting concept, but even Google Glass hasn’t become exactly a must have for general consumers. So you have to wonder if there’s even a market for Frames? Bose has already sent out 10,000 frames to AR app developers in the hopes of getting support for the device at launch. Frames currently has two designs: rounded and square frames. The device’s weight is surprisingly listed, only slightly higher than your normal sunglasses, which is crazy considering it is carrying a rechargeable battery that can play up to three and a half hours of music. Bose is already taking pre-orders for Frames with the listed price tag of $199. That’s quite a pricey pair of sunglasses. Frames are not scheduled to ship until the beginning of January, and Bose plans to reveal more about their AR platform at the beginning of March at SXSW. 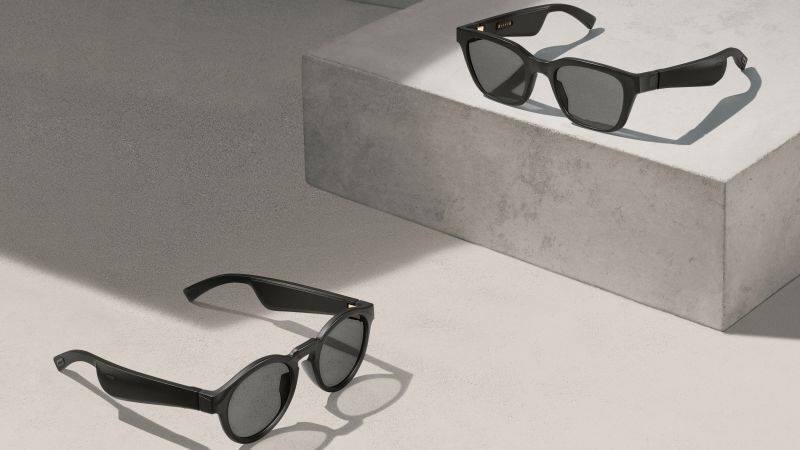 The post Check out Bose crazy $199 AR Sunglasses appeared first on Nerd Reactor.